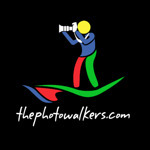 I took a group of photographers to Italy and Steve was our appointed Professional Photo-Guide in Rome. He handled our group of 5 well - guided with technical knowledge - but most importantly he showed us the best angles to photograph Rome's 'heros'. Steve is easy to be around and certainly took us to places that we would never known how to get to!